Sign up for a free 3drepo.io account online. Go to "Federations" tab within your online account and create a new federation (green plus button). 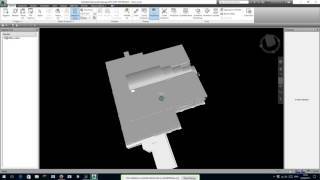 Open Autodesk Navisworks desktop application and load a 3D model. Within Navisworks, open "Export add-ins" tab and launch the "3D Repo Uploader" plug-in. Type in your 3drepo.io username and password and press "Login". Select your "Federation Database" (user space), "Federation Project" (your newly created Federation) and "Sub-project" to upload to. Press "Upload" and wait for the processing to finish. Go back to your 3drepo.io online account using your favorite web browser and wait for the project "Processing..." to finish. Once complete, the uploaded data is available for viewing online. You can also upload a part of NWD federation from Navisworks. Simply select models you want to upload, hide unselected and follow instructions above from step 7. 3D Repo plugin will upload only models visible in Navisworks 3D view. The federation has to be saved in NWD (not NWF) format. Note: Please install the file in the following path C:\Program Files\Autodesk\Navisworks Manage or Navisworks Simulate with selected versions. Run the msi installer file and it will automatically install the plug-in to the Autodesk Navisworks application space. Upon successful installation, the 3D Repo Uploader icon can be found within the "Tool add-ins" tab of the main Navisworks application window. To uninstall the app please right click on app and click on uninstall button. The app will be uninstalled. Hint: The plug-in only uploads currently visible geometry so to selectively upload a section of the whole scene, simply hide unwanted parts using the selection tree and Hide/Show functionality. Please install the file in the following path C:\Program Files\Autodesk\Navisworks Manage or Navisworks Simulate with selected versions. Please contact support@3drepo.org should you have any queries.